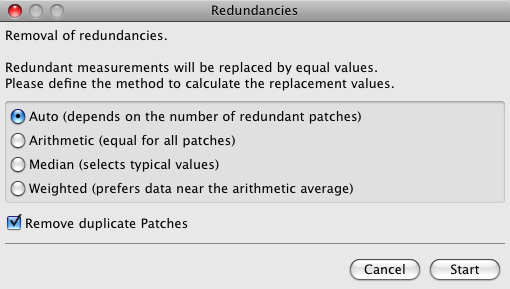 The Redundancies tool corrects color patches by averaging the redundant patches and replacing them with the same value. 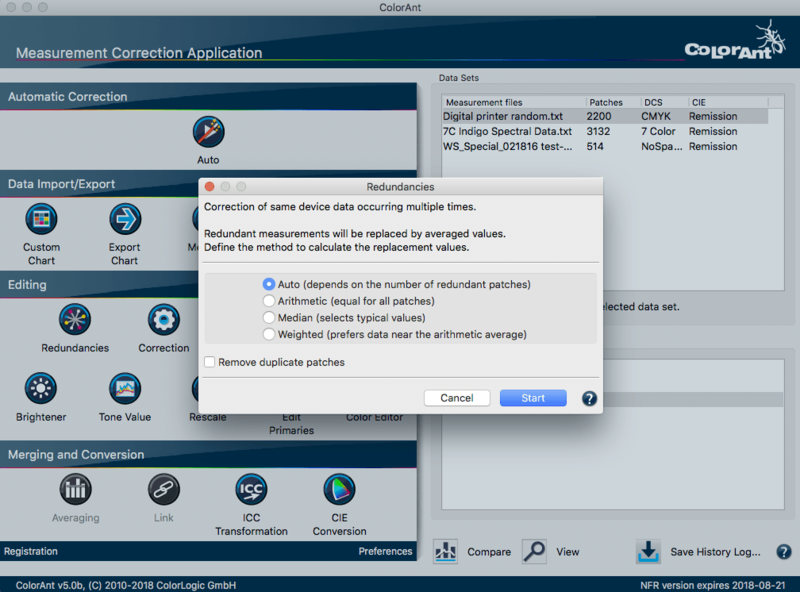 When redundant or inaccurate readings occur in measurement data, errors in profile creation can occur. Using the Auto method, different methods are used depending on the number of color patches. It is quite possible that some color patches will be treated using a different method than others. As the most intelligent method, the Auto method is preferable to others. If, for example, only two color patches have to be averaged, Arithmetic, i.e. the average of the measurements is used. 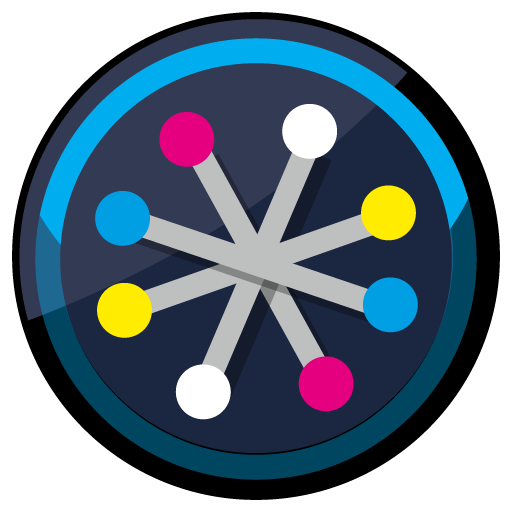 The methods for averaging redundant color patches are the same as in the Averaging tool.Delete redundant color patches by activating the Remove Duplicate Patches checkbox next to the averaging method. In this case, first the color value is calculated, then all of the same color values are removed except one.Note: Remission data, for example multiple spectral readings from a light source saved in one measurement file without any DCS data, can be averaged using the Redundancies tool. If the measurements are spectral the averaging will be done on spectral data.